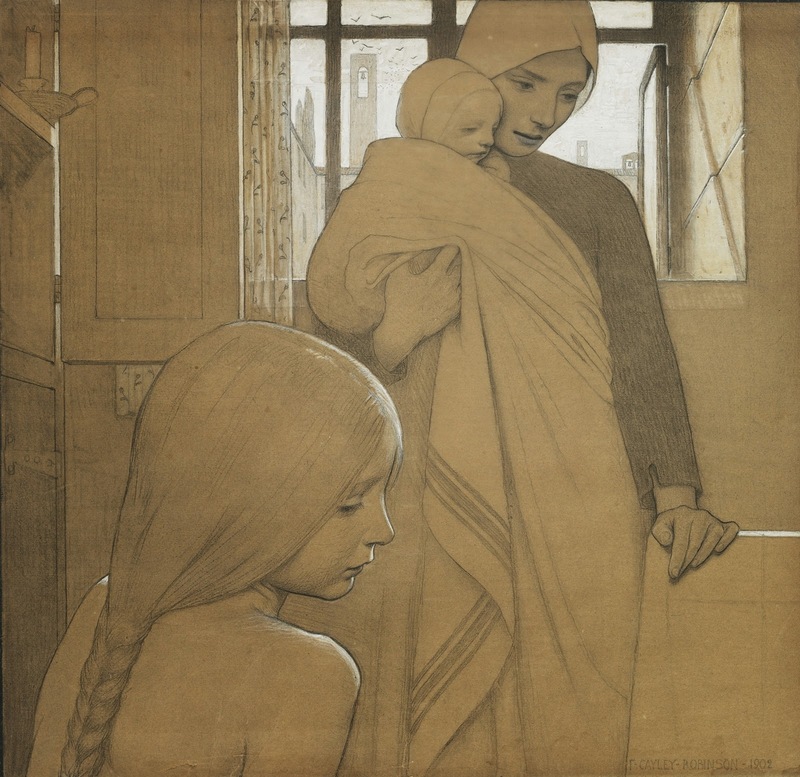 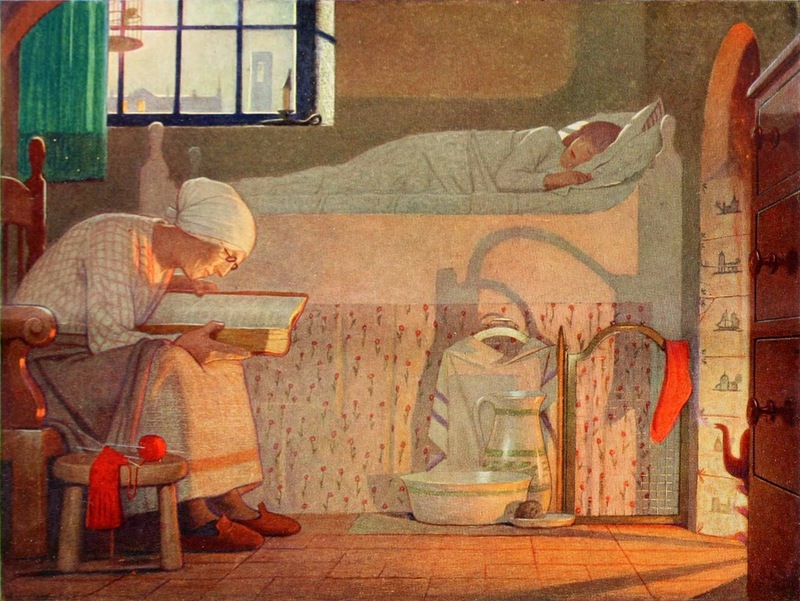 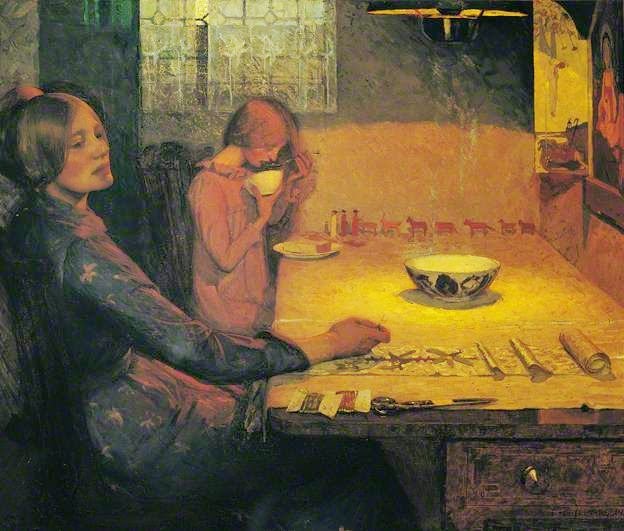 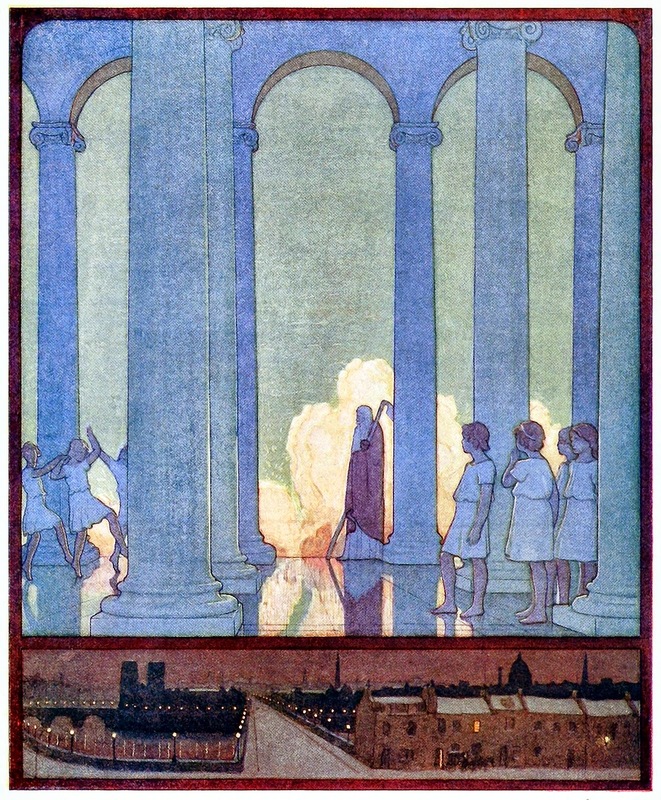 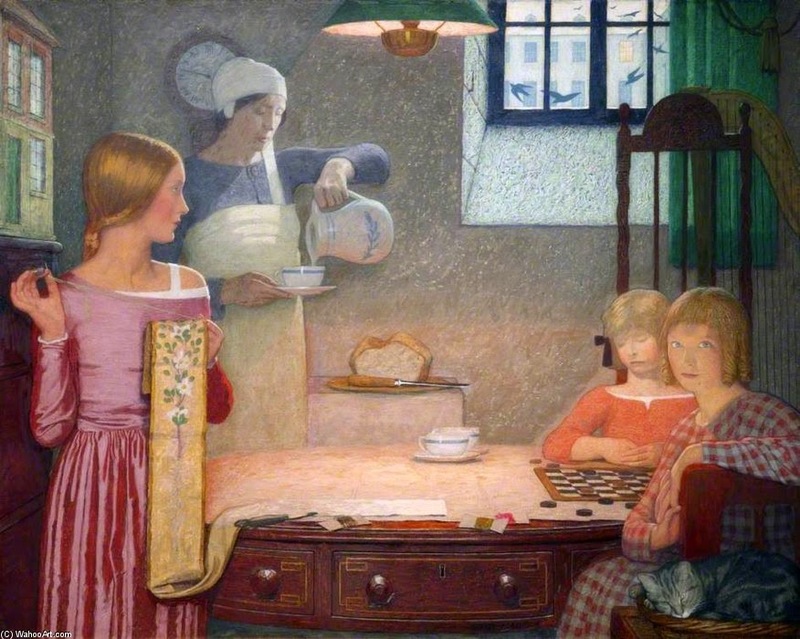 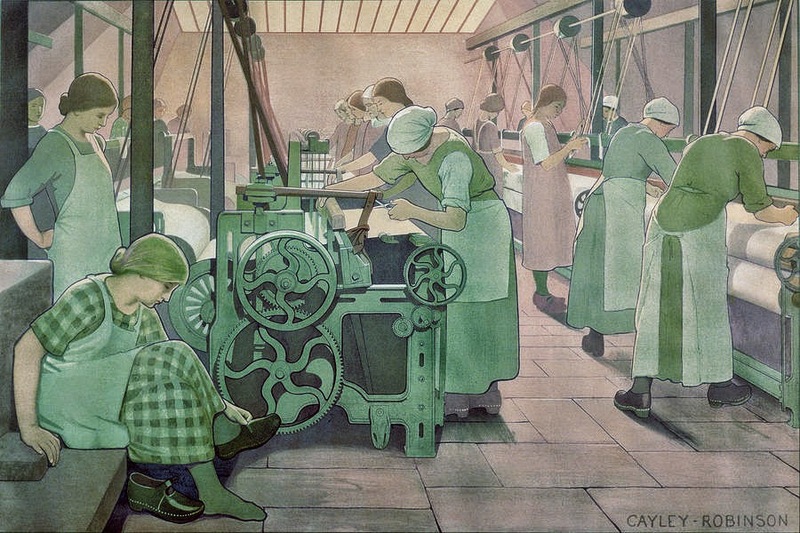 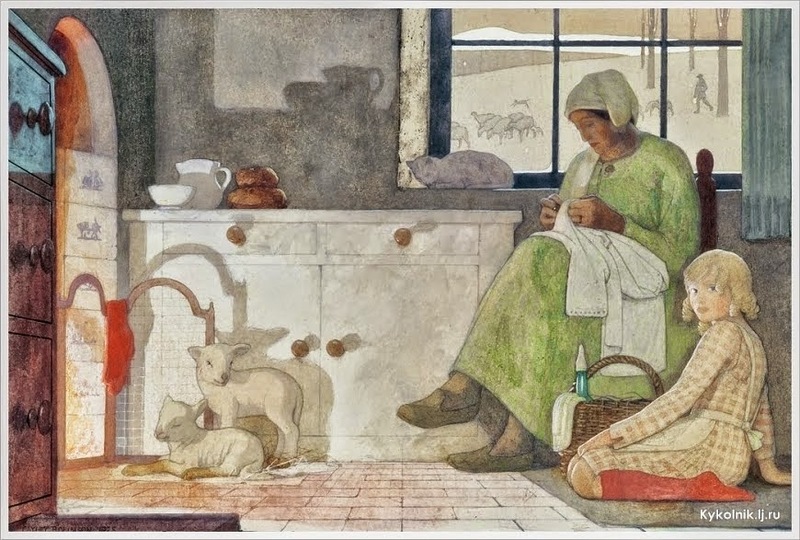 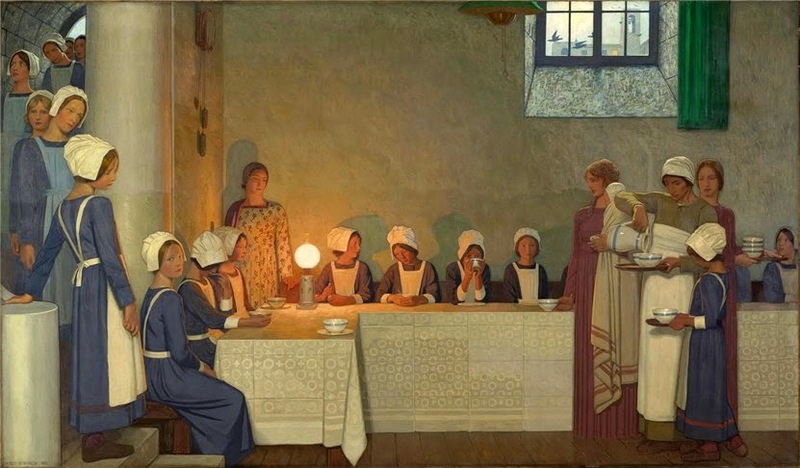 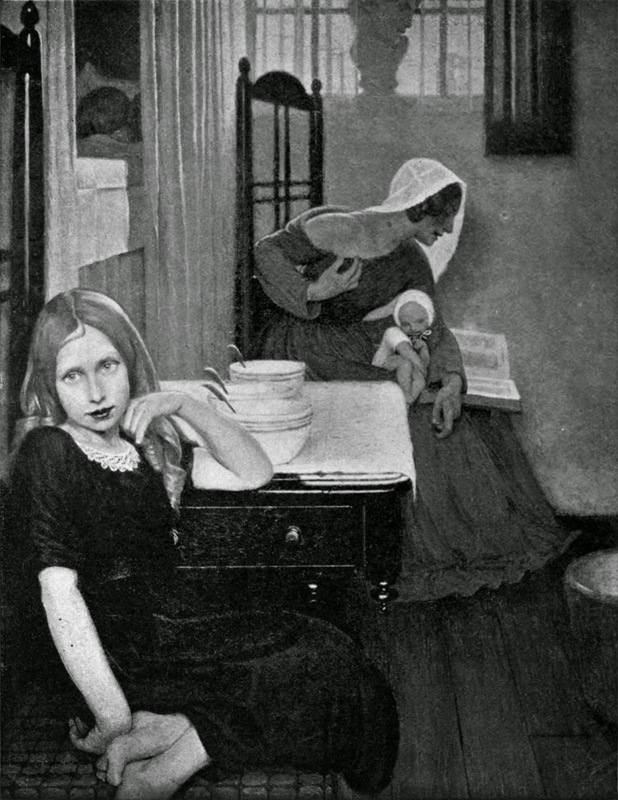 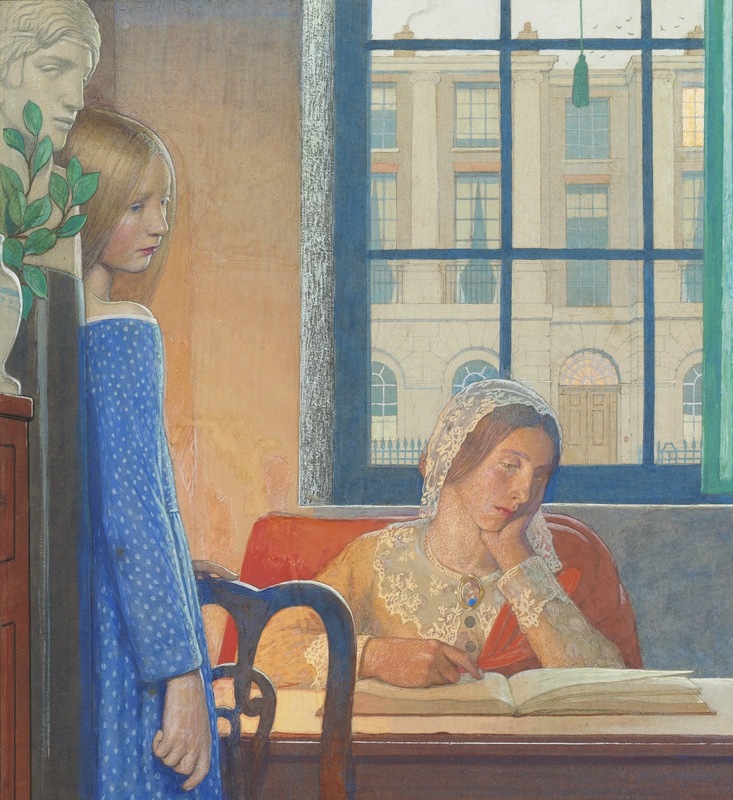 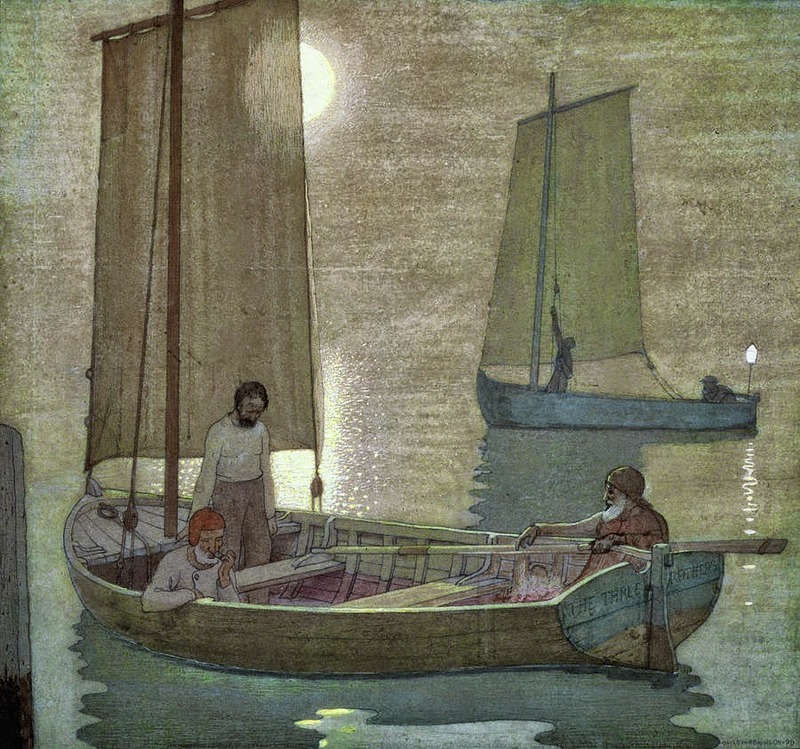 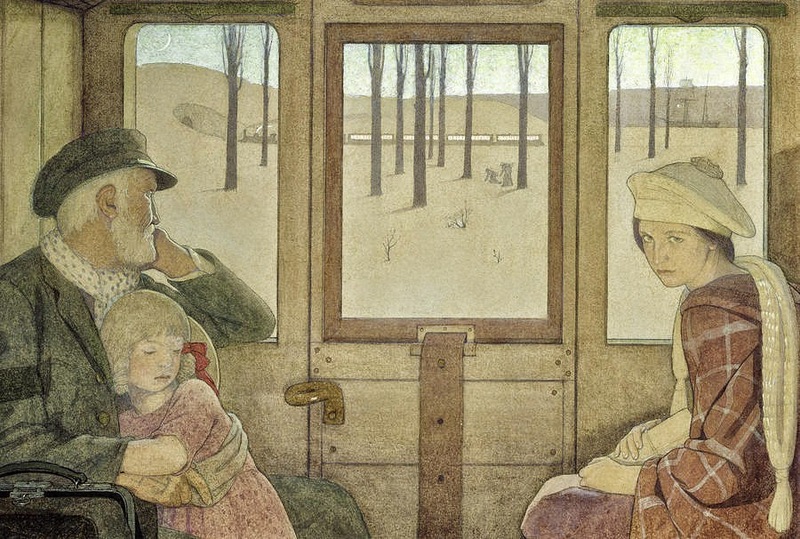 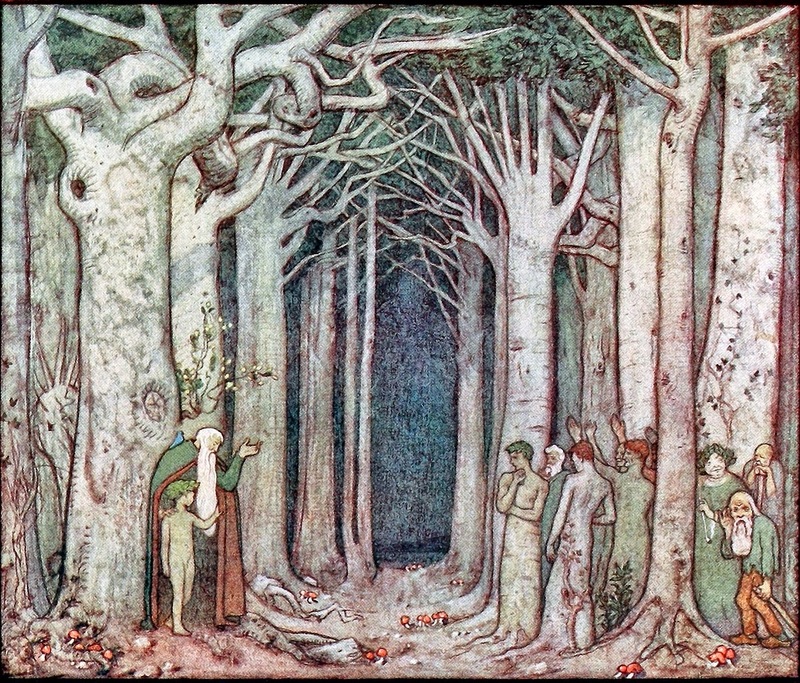 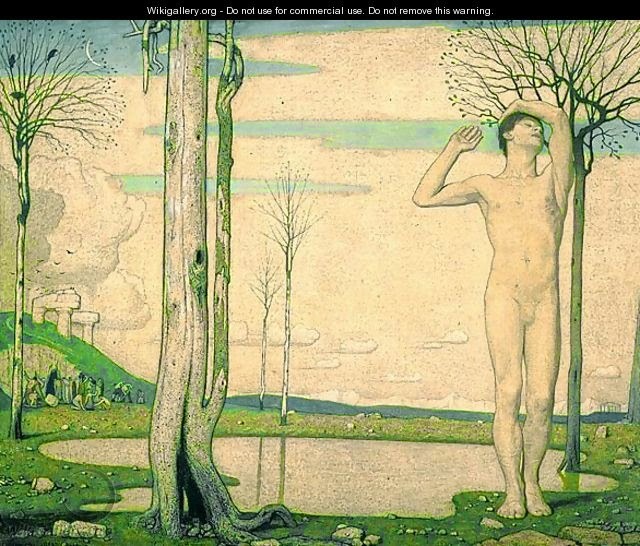 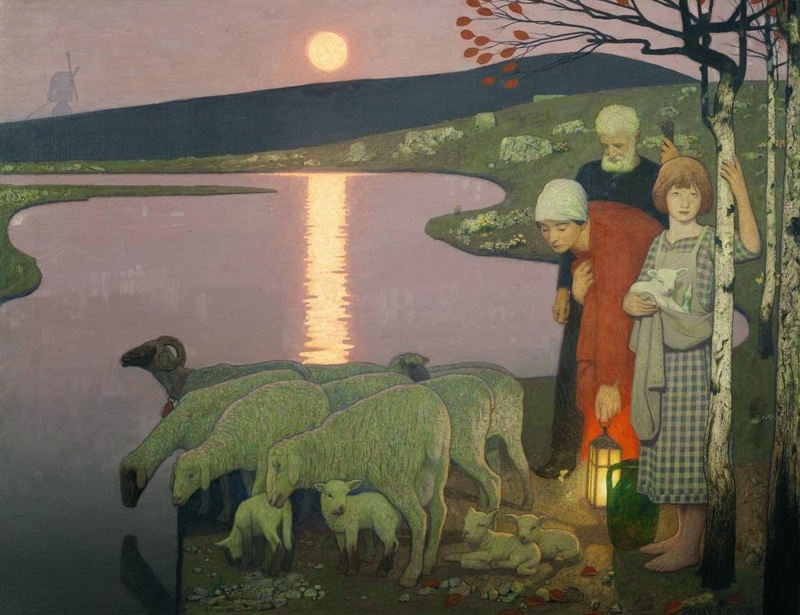 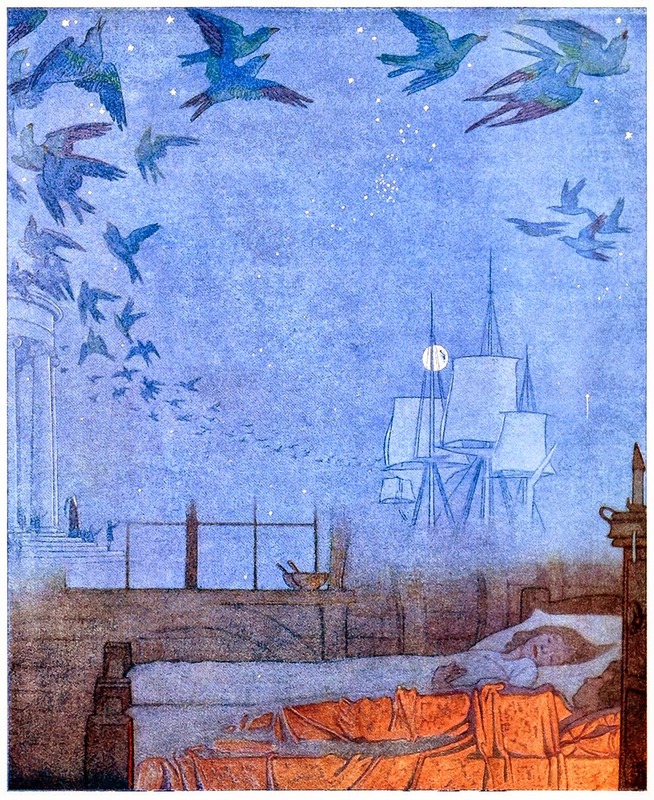 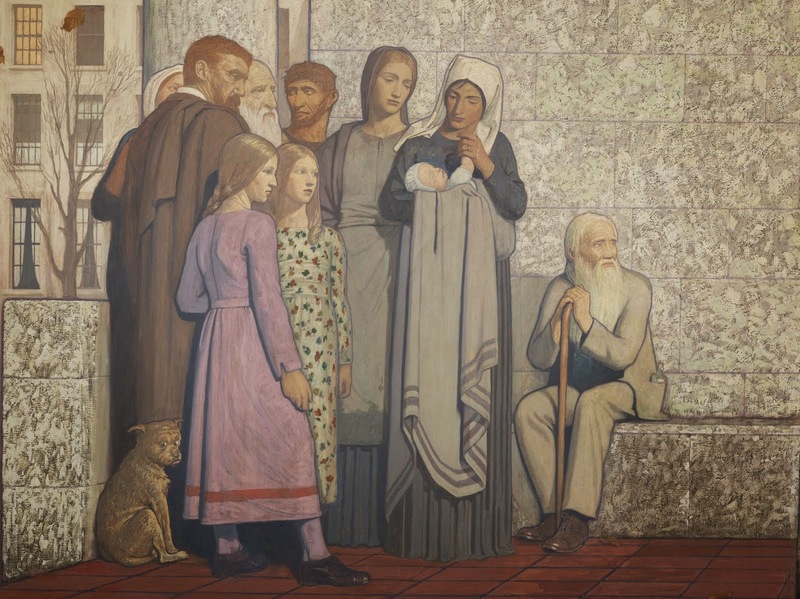 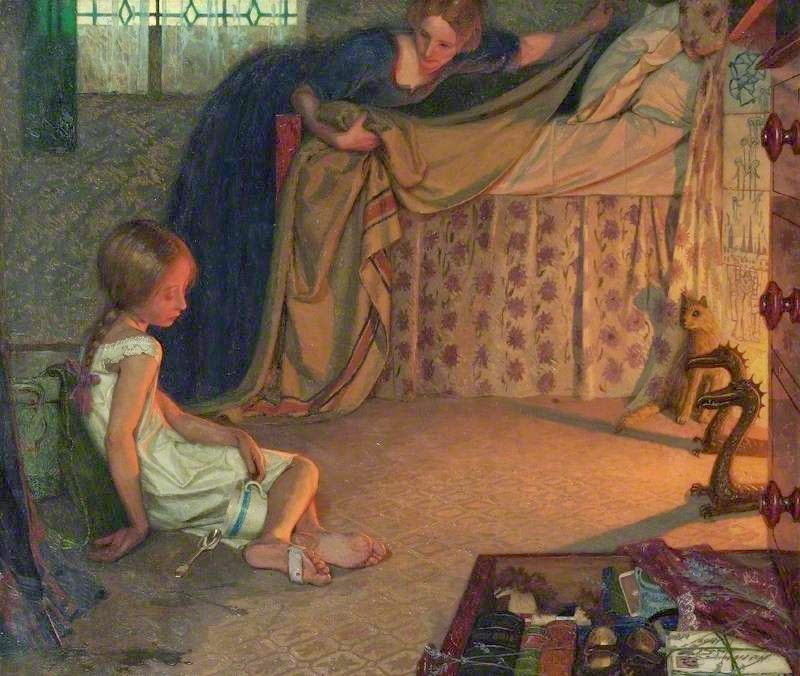 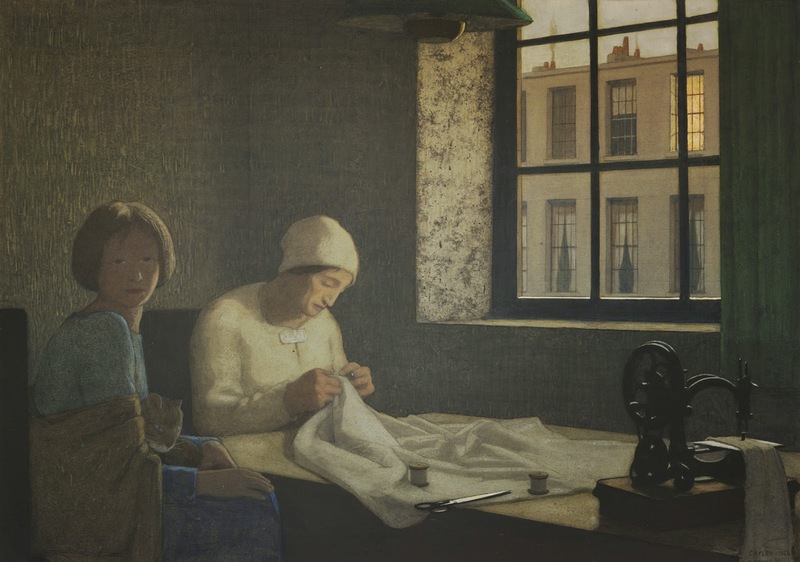 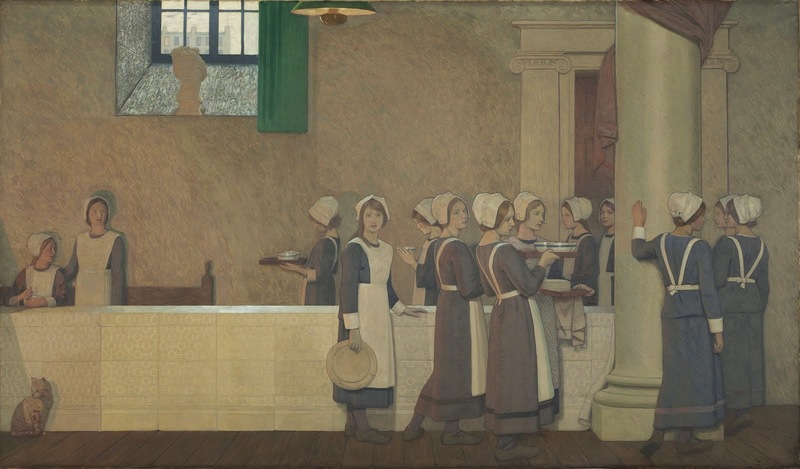 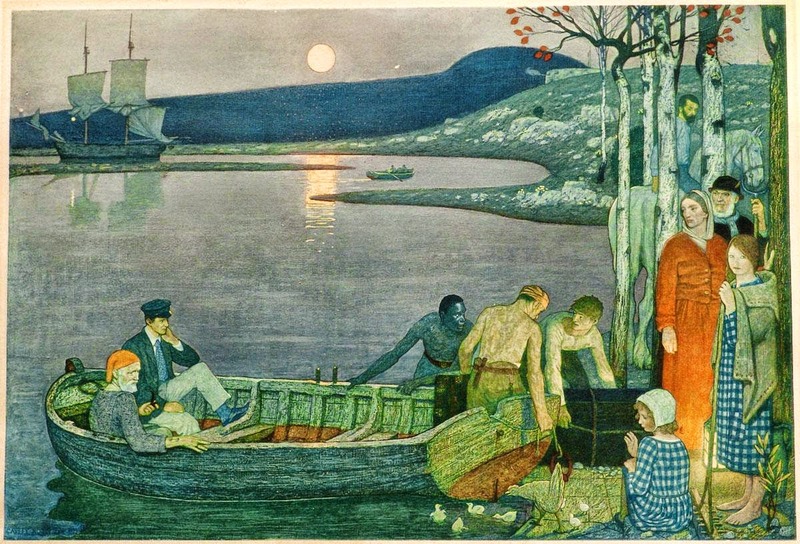 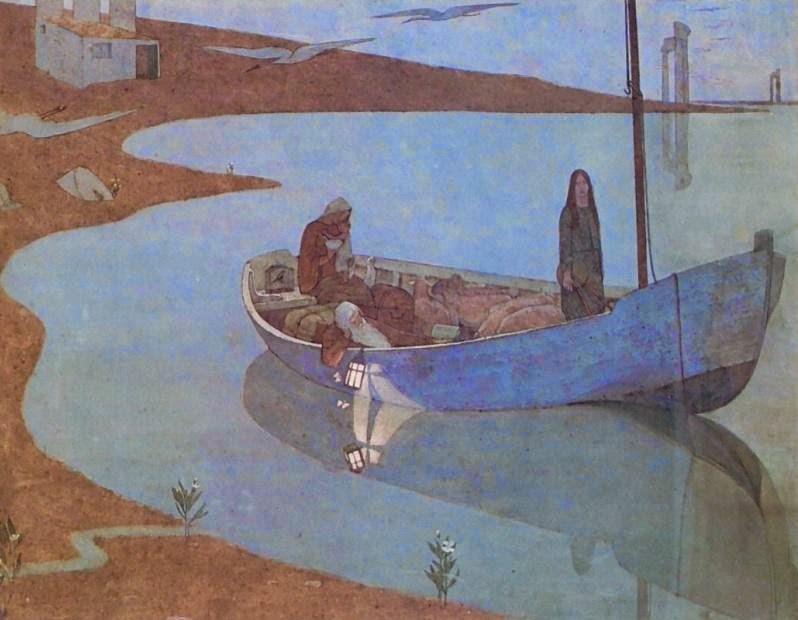 Frederick Cayley Robinson [1862-1927] was a British painter of idyllic scenes and domestic interiors, decorator and illustrator. 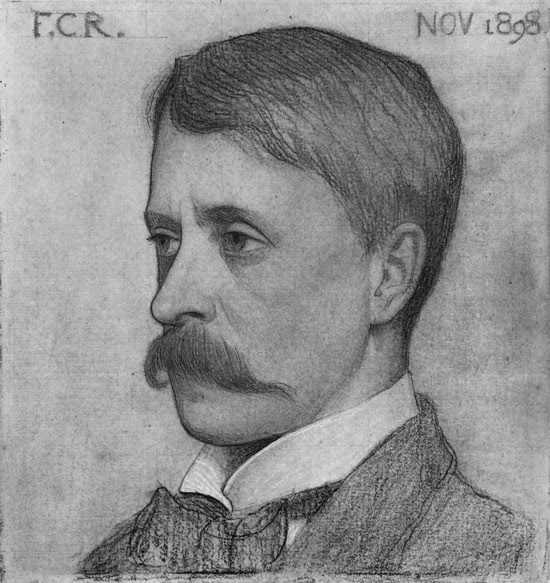 Born 18 August 1862 at Brentford, Middlesex. 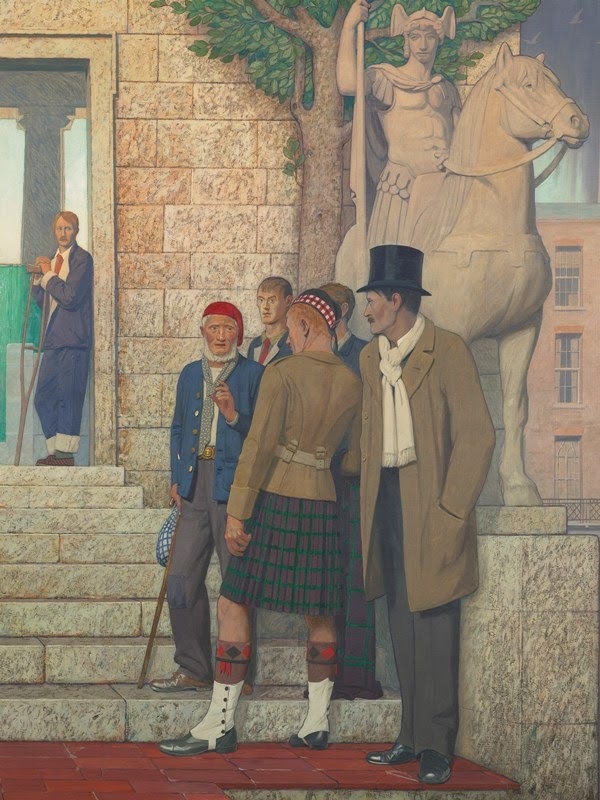 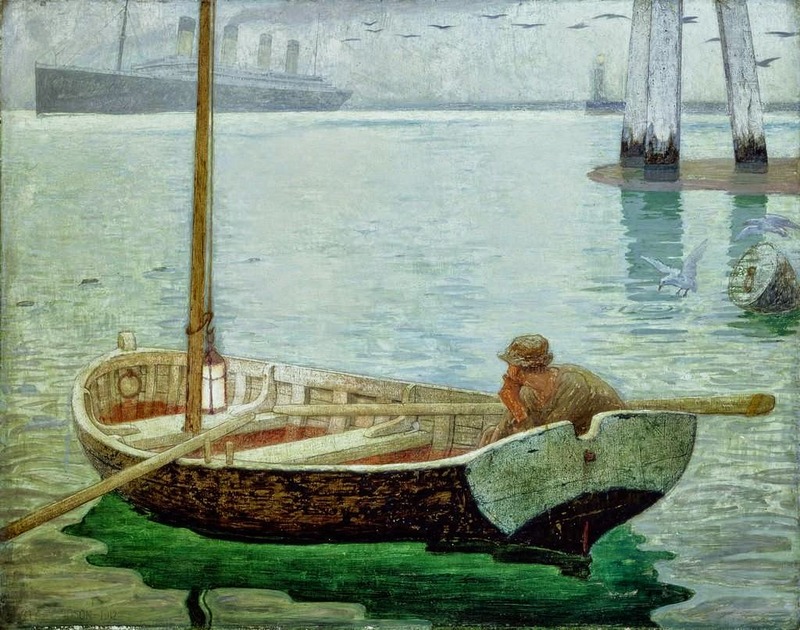 Studied at St John's Wood and the R.A. Schools; lived on a yacht painting realistic sea pictures 1888-90; studied at the Académie Julian in Paris 1890-2. 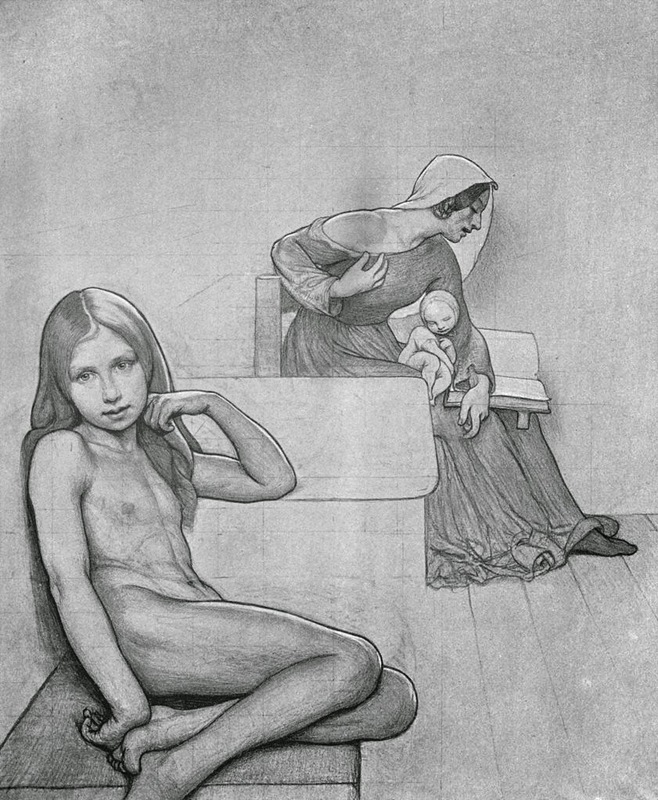 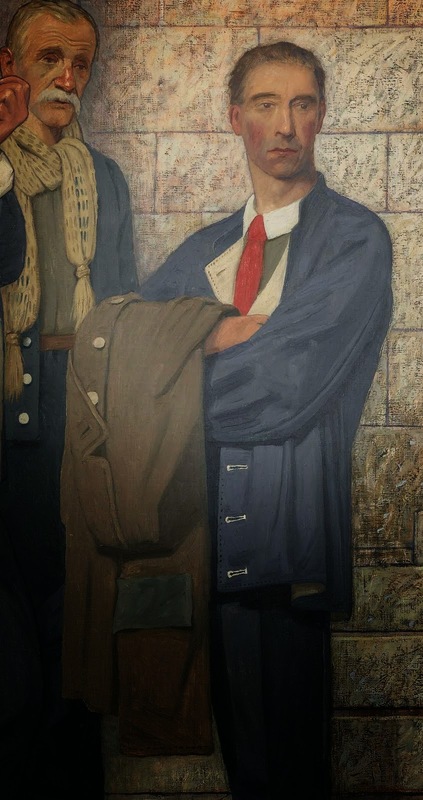 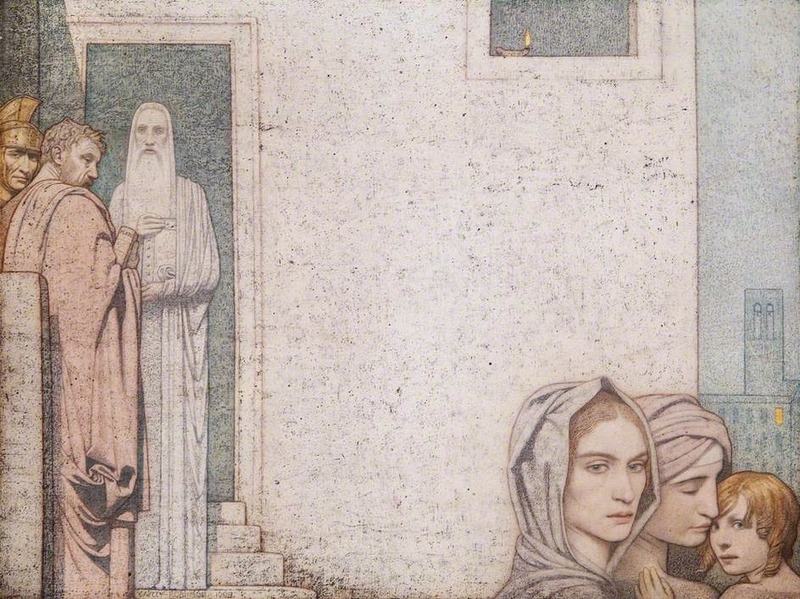 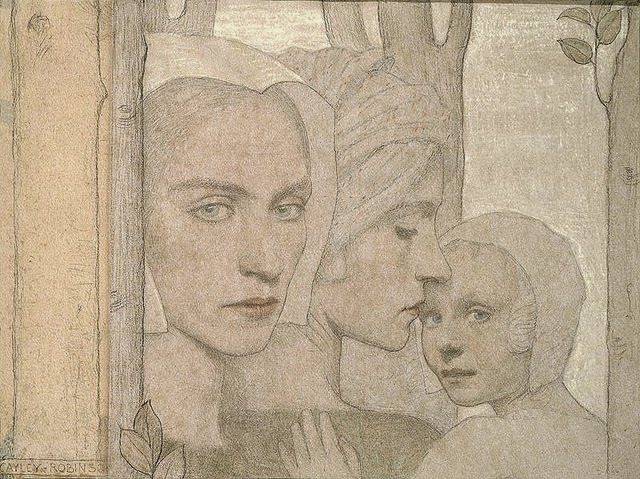 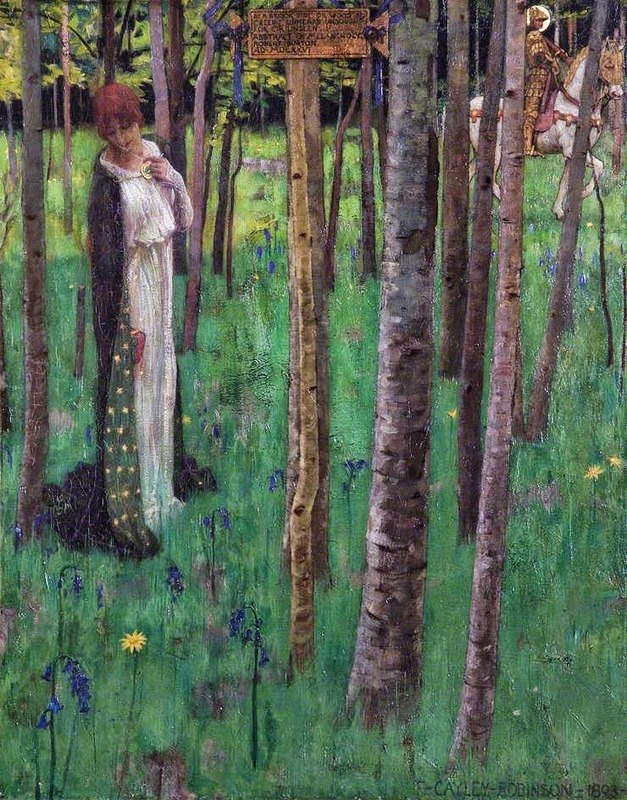 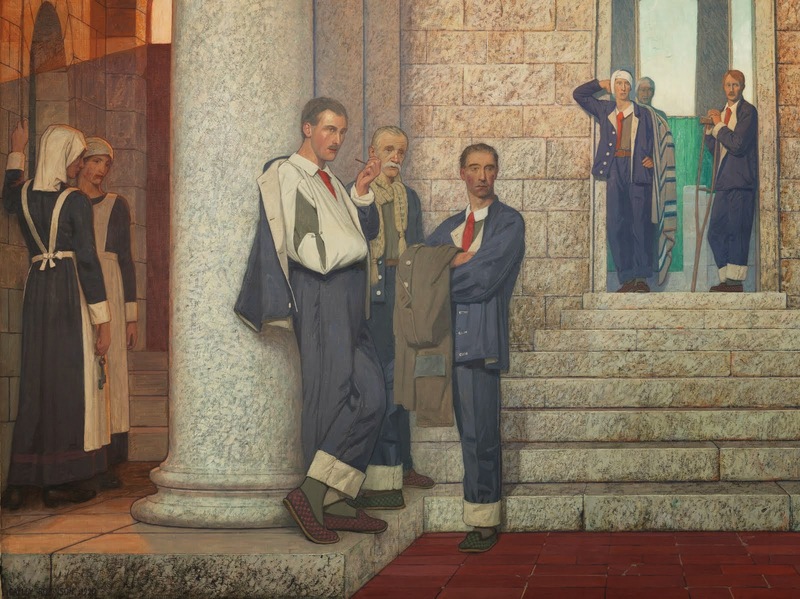 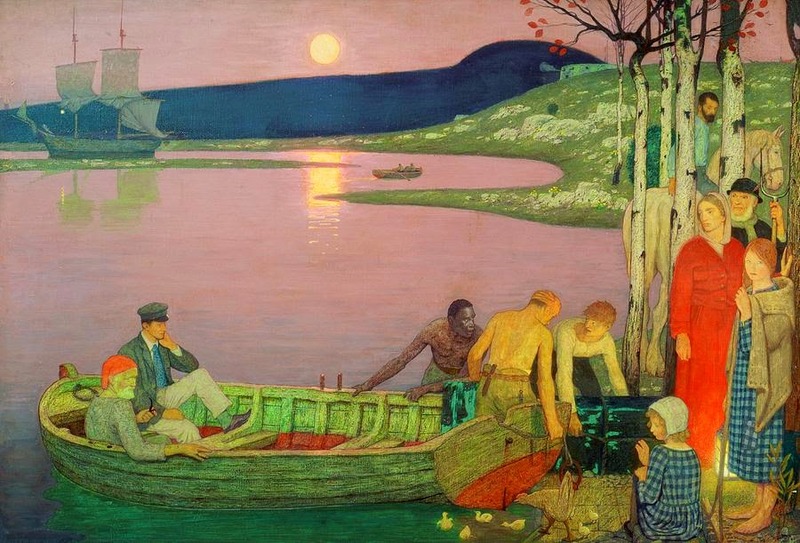 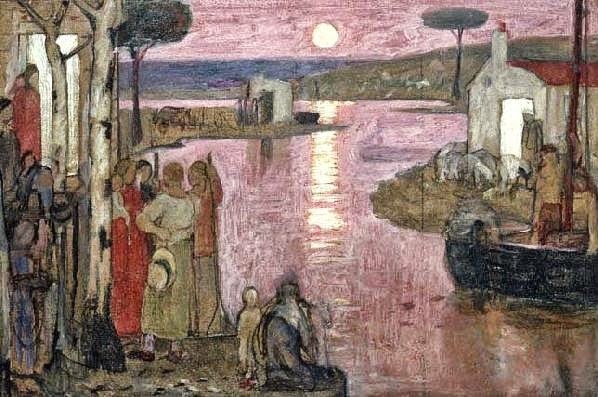 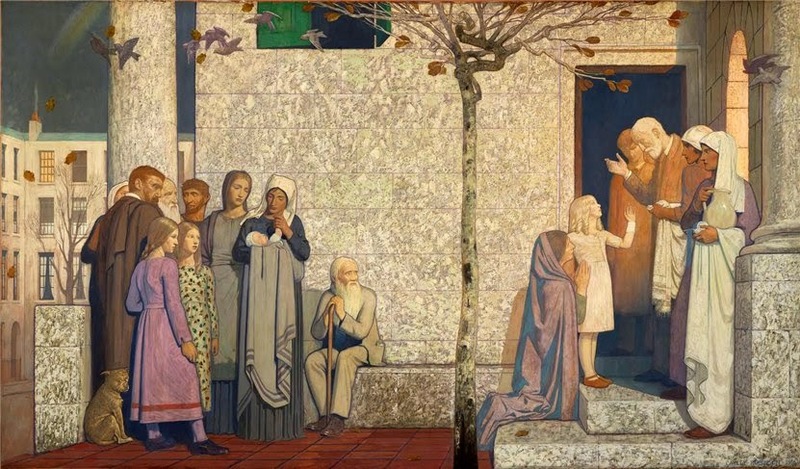 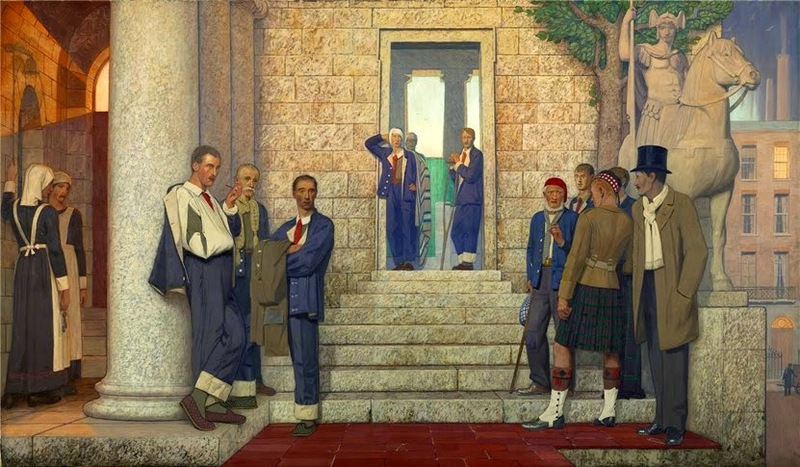 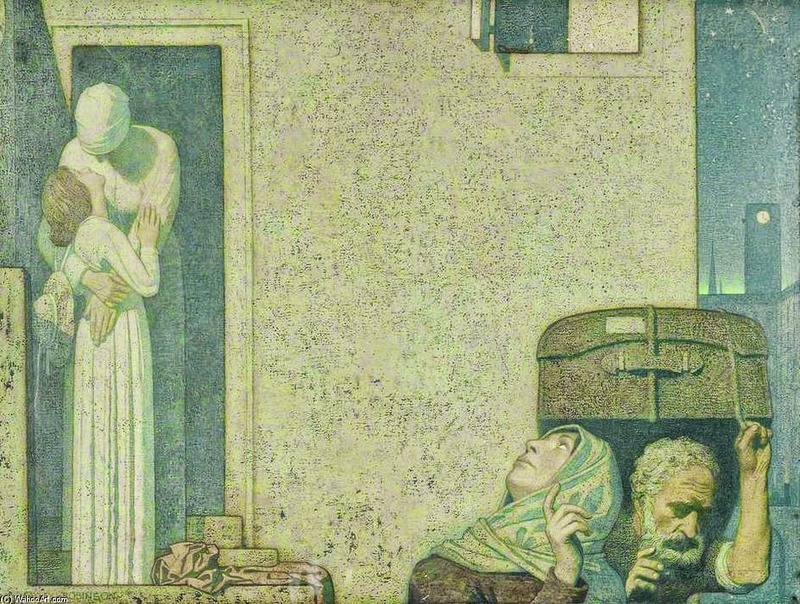 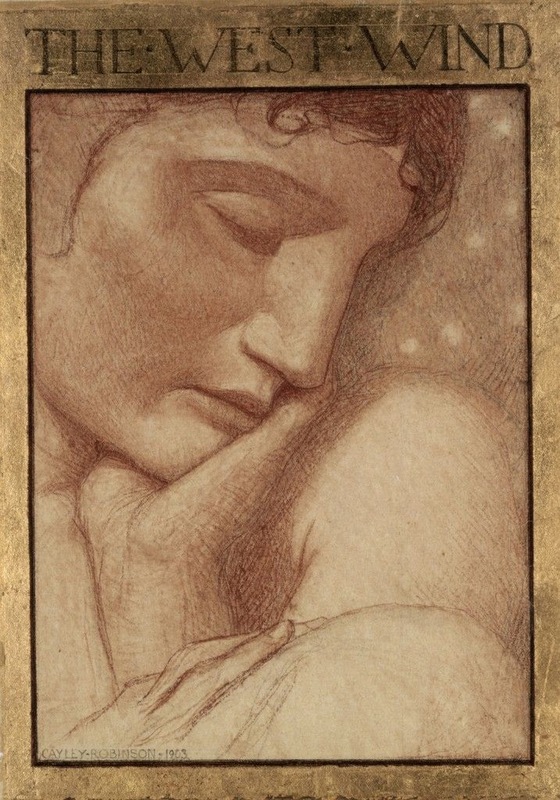 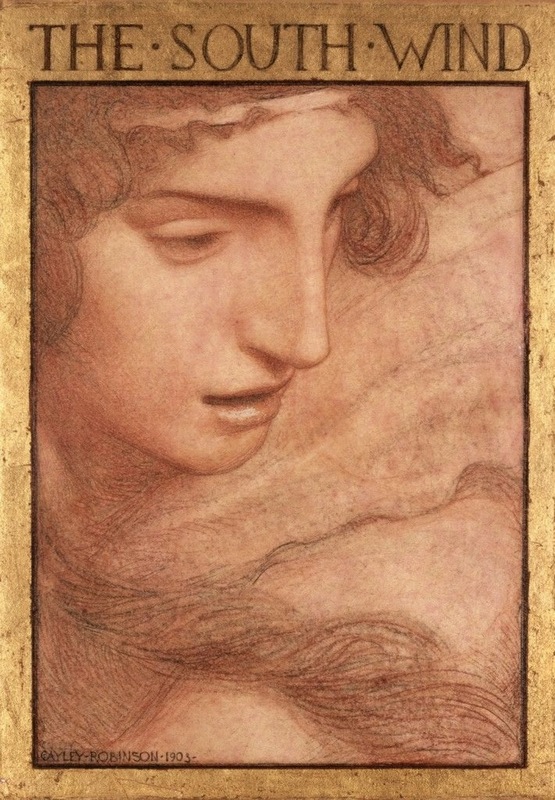 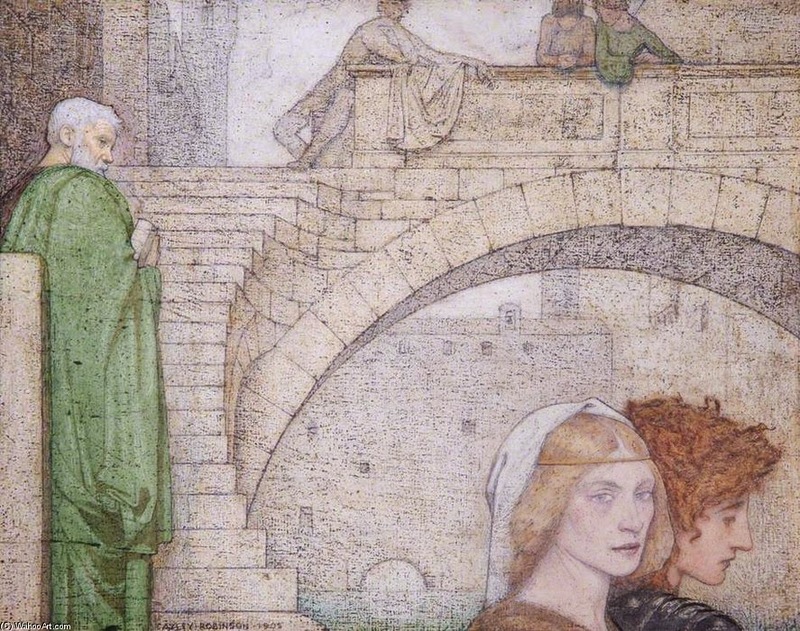 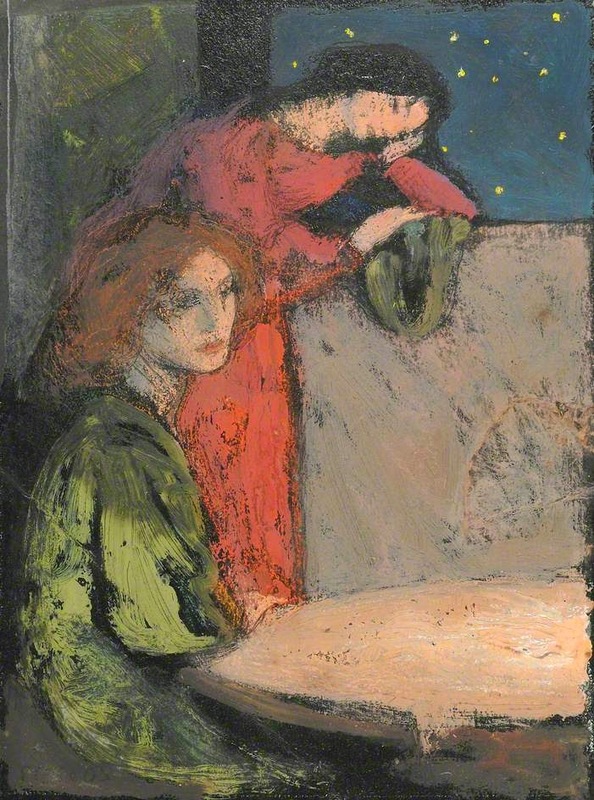 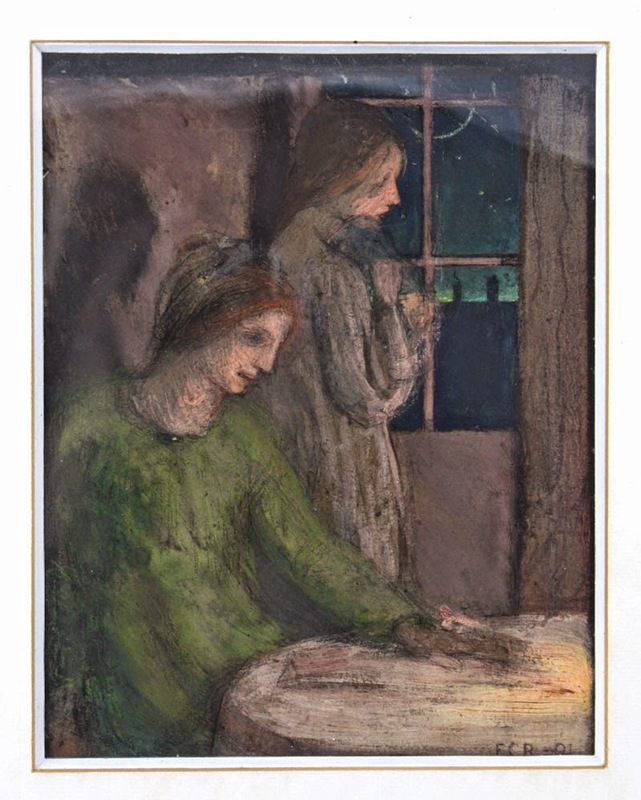 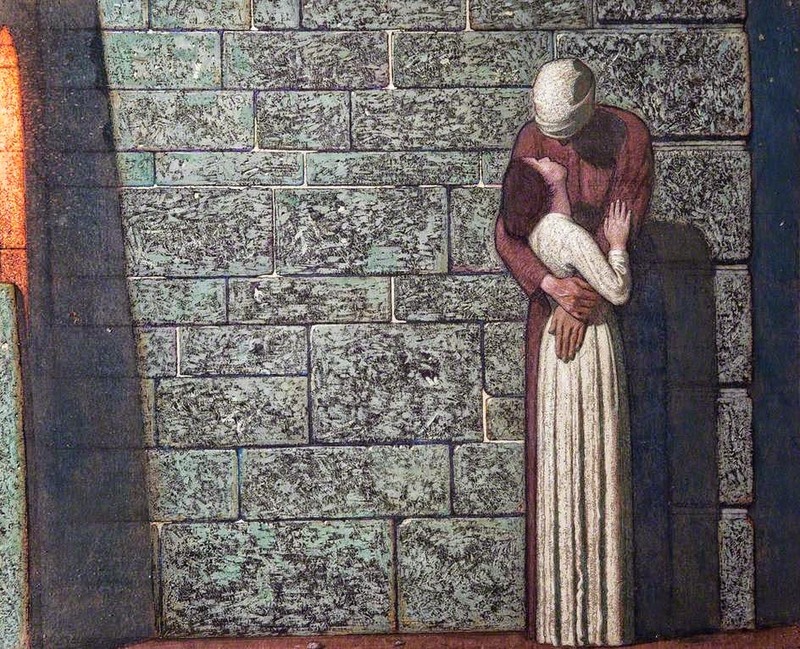 The influence of Burne-Jones and Puvis de Chavannes, and that of Fra Angelico after a visit to Florence in 1898, caused him to adopt a more decorative manner.